Move aside Florida, North Carolina is now the new poster child for the war on voting. I’ve been in Texas this week researching the history of the Voting Rights Act at the LBJ Library. As I’ve been studying how the landmark civil rights law transformed American democracy, I’ve also been closely following how Republicans in North Carolina—parts of which were originally covered by the VRA in 1965—have made a mockery of the law and its prohibition on voting discrimination. And that’s just the start of it. In short, the bill eliminates practically everything that encourages people to vote in North Carolina, replaced by unnecessary and burdensome new restrictions. At the same time, the bill expands the influence of unregulated corporate influence in state elections. Just what our democracy needs—more money and less voting! The legislation should be a wake-up call for Congress to get serious about resurrecting the Voting Rights Act and passing federal election reform. Six Southern states have passed or implemented new voting restrictions since the Supreme Court’s decision last month invalidating Section 4 of the VRA, which will go down in history as one of the worst rulings in the past century. Voting rights groups (and perhaps the federal government) will soon challenge at least some of the new restrictions through a preliminary injunction, others sections of the VRA, or the state constitution. But if Section 5 of the VRA was still operable, North Carolina would have to clear all of these changes with the federal government and prove they are not discriminatory—practically herculean task given the facts. The new law would’ve been blocked or tempered as a result. Instead, the North Carolina legislature interpreted the Court’s decision as a green light for voter suppression, which it was, and made the bill as draconian as possible. Move aside Florida, North Carolina is now the new poster child for voter suppression. 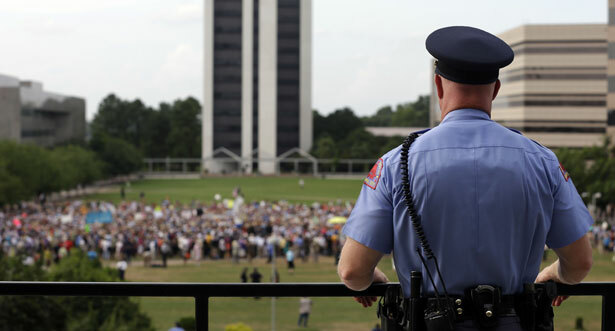 The Moral Monday movement in the state is now more important than ever. Maybe someday we’ll look back at this period as the turning point when the nation realized just how important the Voting Rights Act was and is. Ari Berman documents the grassroots movement that is fighting back against the North Carolina GOP’s right-wing agenda.